Thank you for getting back to me and for confirming the order details and the batch number. I would like to reassure you that our Abpromise applies to your complaint since you purchased this product within the guarantee period. This means that in the event that a product is not functioning in the applications/species cited on the product data sheet (and the problem has been reported within 6 months of purchase) we will happily offer a credit note/refund to the value of the product purchased. Though, you have kindly provided some details, it would be much appreciated if I could get some more information which would help me identify the source of the problem. 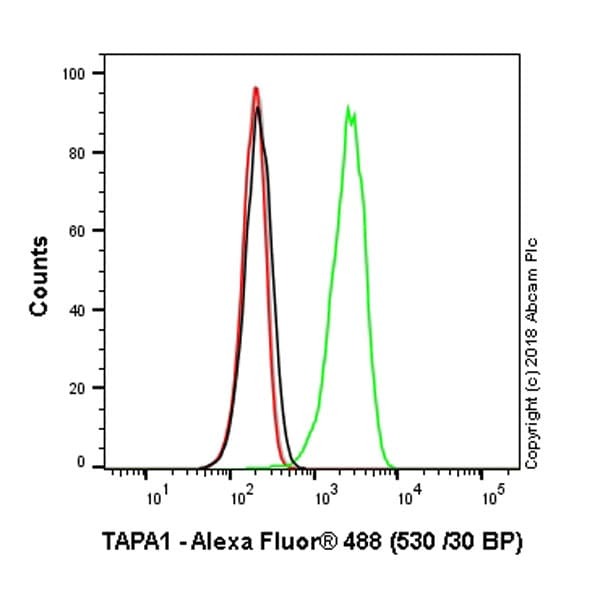 A couple of months ago I purchased your rabbit anti-CD81 (anti-TAPA-1) antibody (ab109201) which is guaranteed to detect human CD81 by western blot. I have been unable to detect CD81 in blots and wonder if I am doing something incorrectly as another one of your antibodies (ab79559) also failed to wprk in western blot. 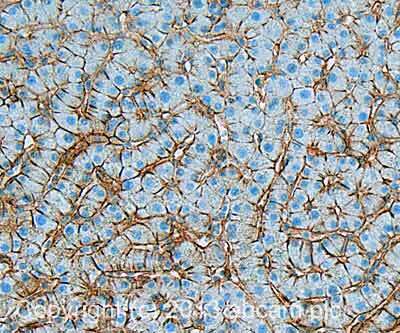 - cells pre-incubated withab79559 no longer bind HCV E2 (as CD81 is blocked by your antibody). I wanted to confirm the presence of CD81 by WB so performed SDS-PAGE withwhole cell lysates (from Huh7.5, 293T, Raji, Jurkat and other cell lines) using standard protocols, transferred proteins onto nitrocellulose, blocked for 2 h with 10 % milk, and probed overnight withab79559 at 1:1000 dilution in 5 % milk in TBS-T, followed by anti-mouse-HRP. I even got no signal, even when reprobed at 1:100 dilution (incidentally, the problem is not with the secondary as that works with other antibodies). 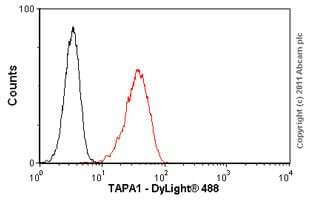 I assumed thatab79559 must detect a 'correctly folded' epitope as it works with flow cytometry and that this must be altered by SDS-PAGE so I tried your WB-specific anti-CD81 antibody (ab109201). WB was performed as above, but using an anti-rabbit-HRP secondary, and again I got no signal. I then transiently transfected 293T, 293T/17 and Huh7.5 cells with myc-DDK-tagged CD81 on the CMV promoter (Origene RC217508), and after 48 h expression performed SDS-PAGE and WB using whole cell lysates of transfected and non-transfected cells. I then probed one blot with your WB-guaranteed anti-CD81 antibody (ab109201) and another blot with an anti-flag antibody. The anti-flag antibody strongly detected CD81 in lanes from CD81-transfected cells, but nothing in non-transfected lanes. 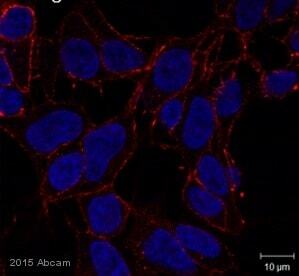 Strangely, your anti-CD81 antibody detected nothing - even the transfected lanes had no signal. I had begun to think that CD81 perhaps did not run into the gel during SDS-PAGE (as membrane proteins can sometimes be temperamental), but I am perplexed that I can detect tagged CD81 with the anti-tag antibody, but not with your anti-CD81. 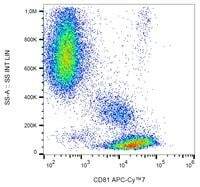 Please can you tell me if there is something that I have failed to do correctly for the detection of CD81 by WB so that I can test the antibody again. Thank you for your enquiry regarding ab109201 and for taking the time to provide some useful details of the experiments. I am very sorry to hear that you are having problems with this antibody. Could you please provide the batch and order numbers for ab109201?